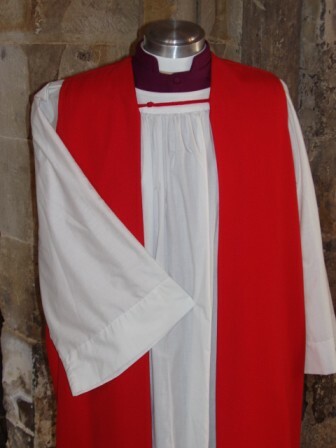 This alb style rochet has wider sleeves than the traditional style rochet and is worn without wrist bands and ruffs. Made in easy care poly / cotton. Shown here with a red chimere.